It’s almost that time of year again…no, not just Christmas (yay for that! 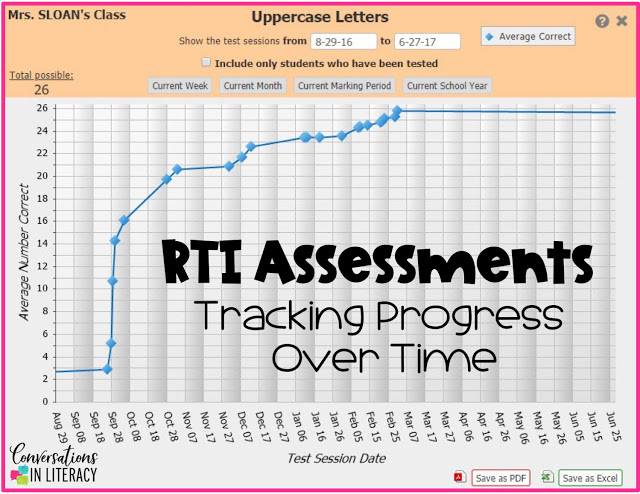 ), but RTI assessment time! 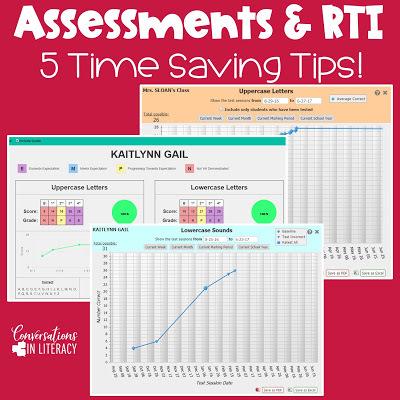 I know many teachers can have a love/hate for RTI and all the assessments. A love (or at least a like) for how successful RTI can be, but maybe a hate for how much of our precious time it can take. 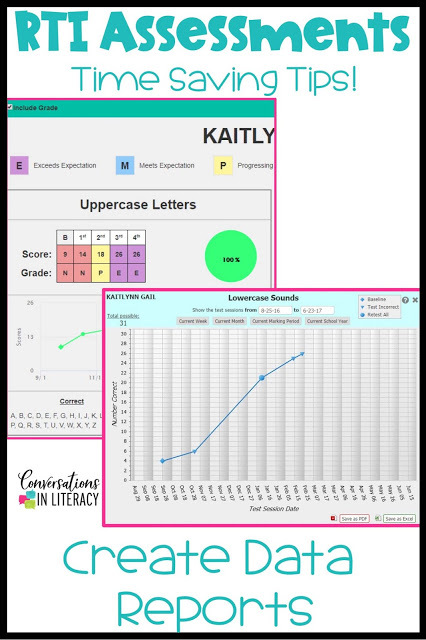 Progress monitoring, universal screening, skills testing, dyslexia screening, and the list can go on and on! All this assessing used to take a HUGE chunk of my time. Not to mention all the time spent copying and preparing tests. Over time with experience, I have figured out how to make giving these assessments take so much less time and less painful! Prepare yourself ahead of time. 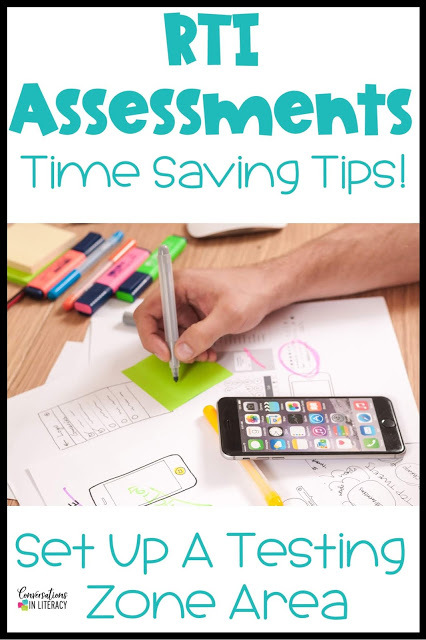 Don’t wait until the last minute to assess your students. Things can happen- students will be absent, last minute assemblies will be scheduled and you may run out of time. Decide what you will assess, schedule it out with time to spare for the unexpected and then stick to your schedule as much as possible. You will thank me when you have completed it and have time left to spare! Set up a testing zone and set out all the materials you will need. 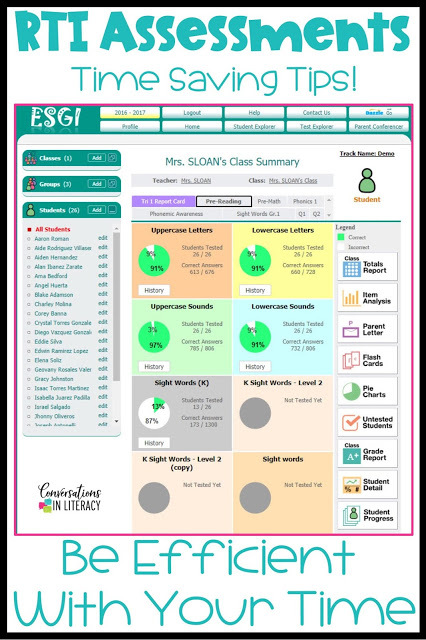 This will help you to efficiently assess students when you have just a few minutes to get a student or two completed. Keep your computer, list of students to be tested, pens, pencils, testing materials all right there at the table. You can then move in and out of this area as needed without wasting time hunting down what you need. I know some teachers have heard of ESGI. 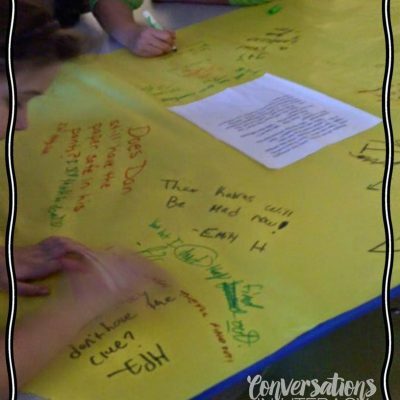 Maybe you’ve thought of it as a kindergarten assessment tool or even for first grade. Let me tell you it is so much more than that! I believe so much in this program and the amount of time it saves me that I had to show it to you and explain it! I have been using this assessment tool for several years now. 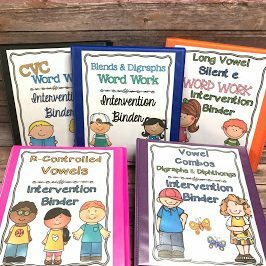 I use it for students from kindergarten through grade five! 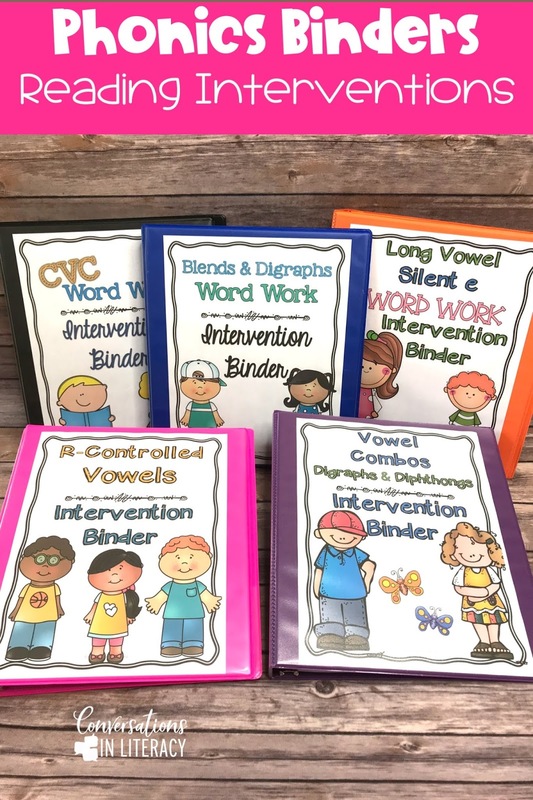 I designed my own tests to fit my students’ needs and my school’s RTI needs. 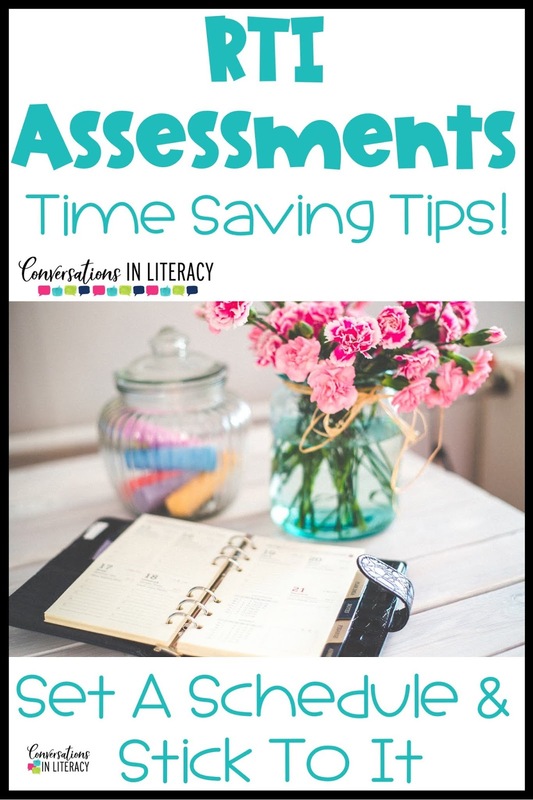 But there are preloaded assessments already on it, plus other bloggers have opened up the assessments they have loaded so you could also use those! 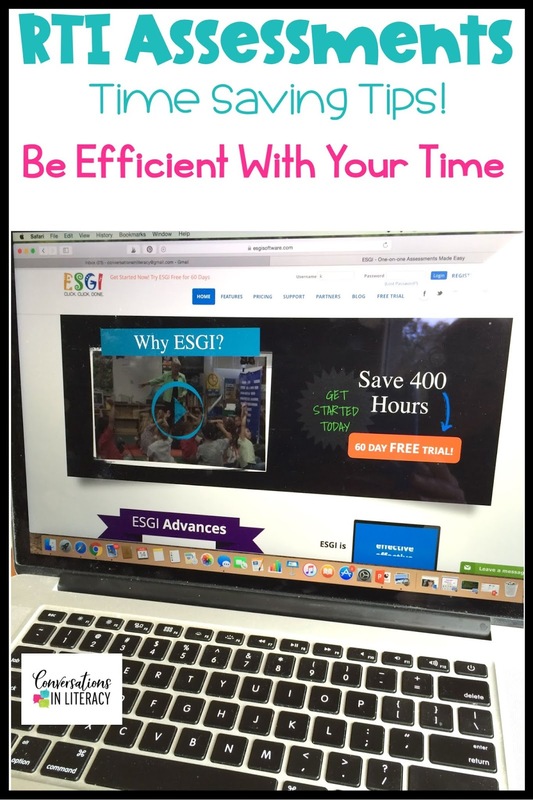 Once your tests are loaded into ESGI, you can use them over and over. 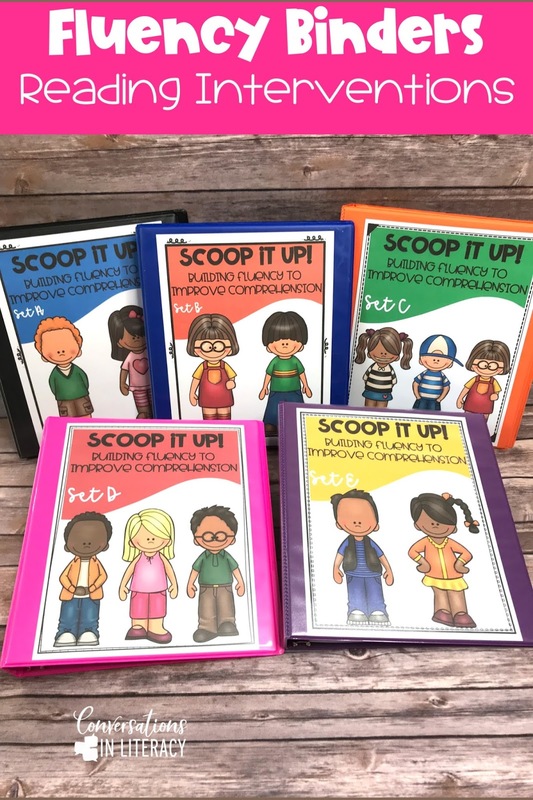 No looking for papers, no copying tests, no wasting your time! 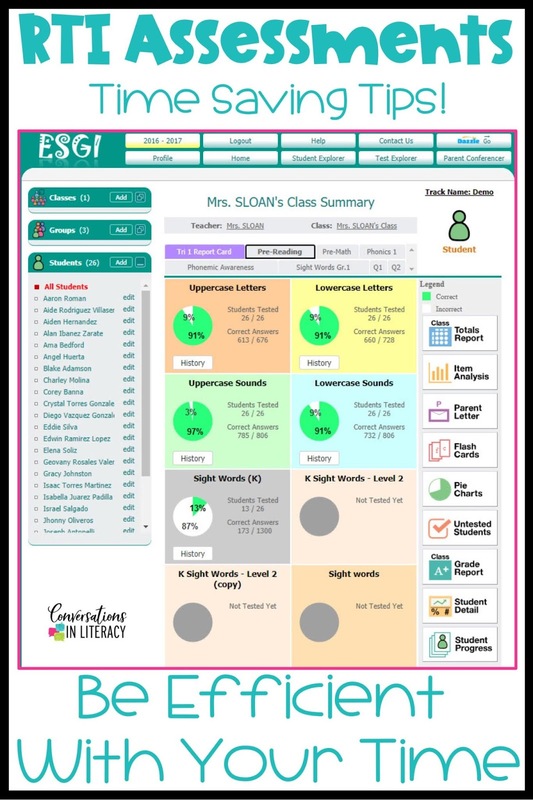 Another super useful feature on ESGI, besides the assessments, are the reports. I can create reports for my teachers to let them know how their students are progressing. I can choose between different formats even. 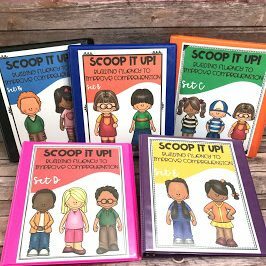 I like to give them a report for their whole class overall and then also run reports for each individual students. 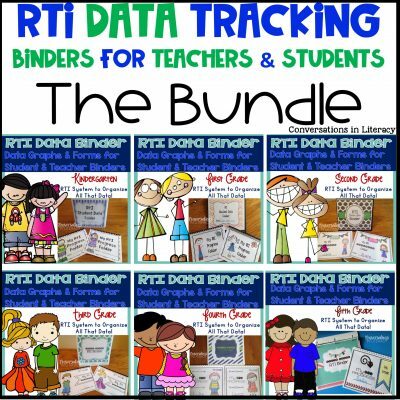 If you are using RTI in your school, ESGI will make it so much simpler and save you so much time! If you cannot tell yet, I have enjoyed this software so much!! 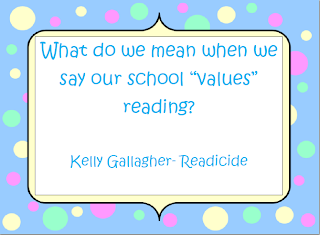 The time it has saved me from giving assessments to running reports and parent notes has had a huge impact! If you think ESGI could help your school, click here to save on a year’s subscription. If you are new to ESGI, you can try it for 60 days free! 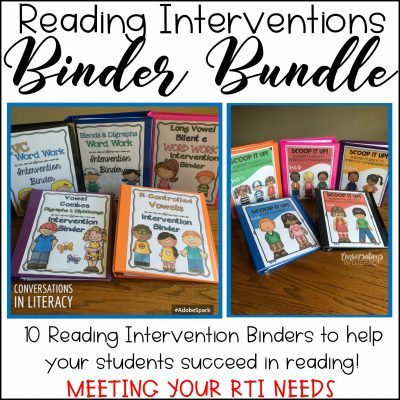 Tell your RTI coordinator, Title 1 coordinator or administrator about it (or have them read this post). I am telling you it is absolutely worth it! Try it out and see! Now that you have given your assessments and created your reports, it is time to start planning the interventions you will be using next to help your students progress even more. 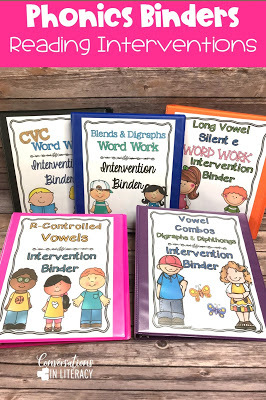 Phonics binders are a great way to help students strengthen phonics and decoding skills and you can find them here. 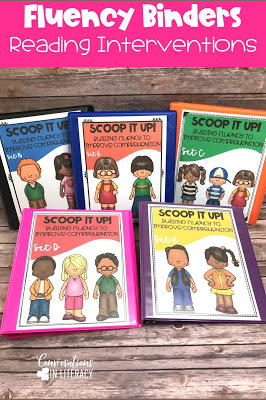 If students need to improve reading fluency, you can try these fluency binders. Take a look at them here. 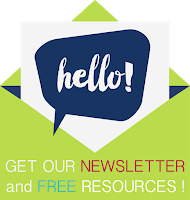 Join our newsletter for teacher tips and free resources! You can do that right here! 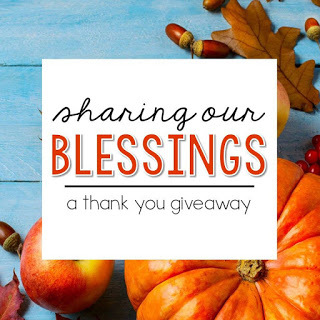 « Blessed To Share Blessing With You!